There are many internet users who may be wary of their privacy settings and on the information they share online. One of the reasons is that it is very likely that ICT giants like Google and Facebook may know their users very well. Google, in particular might know where its users are, the places they go to, the location of their home address and where’s their place of work, who are its users’ closest friends, the things they like, the websites they browse and in many cases, even the content of their emails. Provided that individuals don’t mind giving up a chunk of personal data, their life can be made a bit easier by the web’s services. The internet’s mantra is to make information more useful, accessible and readily available to everyone. Nowadays, we use our tablets or smart phones and visit dozens of websites to learn about products and services. Savvy consumers like to compare prices whether they are buying items online or in retail stores. The latest technological developments and additional sources of information are influencing consumer behaviour as it appears that they are becoming more frugal in their purchase decisions. Consumers are seeking better value and good deals in return for their money. Google is increasingly exposing its search functionality to its users. Last year, it tested a ‘Knowledge Graph’ pop-up which featured a carousel of images along with certain search results on hotel accommodation. As with restaurants and bars, review scores and recommendations are usually generated by consumers themselves rather than through conventional search engine optimisation tricks. It seems that Google’s drive is to personalise the search experience through ‘meta-search’ tools which aim to recognise what exactly users are looking for. In this day and age, it is very important to understand the broader context of consumers’ search queries. For instance, internet users may start searching for flights. Afterwards they might browse for hotels, then restaurants as well as cultural activities. Evidently, Google is responding to such queries by bringing up pictures of neighbourhoods, reviews as and also Trip Advisor content. Recently, Google has been looking for the meaning beyond its users’ search content. Before September 2013, Google’s searches were focused on site content which improved its results by penalising low-quality material. However, the search engine’s latest algorithm, Google Hummingbird is focusing more on the search query itself. Hummingbird has implemented something called “conversational search” in order to better understand what users want when they either type or speak a search query into Google’s search engine. For example; the query, “Where can I buy a smart phone, near me?” Pre-Hummingbird Google would have prioritised search results that match individual words – like “buy” and “smart phone.” With Hummingbird, Google can better understand what users want from their query. Most probably, Google may know your exact location and hopefully it can find smart phones near you. It may be in a better position to determine whether you want a brick-and-mortar store rather than an online retailer. In a nutshell, Hummingbird is focusing on the meaning of the entire search query rather than simply searching for key terms. Hummingbird allows Google to provide its users with more accurate results and better site rankings. Notwithstanding, Google often utilises its users’ data to re-target advertising to them. Google collates its users’ profiles with their data. Personal information is being used by Google for business purposes. Google Adwordsdisplays the marketers’ messages in front of potential customers; right when they’re using its search engine, watching a video on YouTube or when they are receiving their email through Gmail. As a result, online marketing ads appear on google users’ screens. These ads capture the users’ attention by providing certain content which may possibly appeal to them as potential customers. Such online advertising is called ‘native advertising’. Professional marketers are capable of producing relevant content which can entice customers’ to purchase their products or services. The right content is personalised in both its form and function according to individual customers’ needs and wants. This way, paid advertising may feel less intrusive and there’s a better chance that internet users will click on these web ads. The most popular formats for native advertising usually feature promoted articles, images, videos, music as well as other media. In the past few years tech giants, particularly Google strived in their endeavours to gather valuable information about their users’ interests, the things they look for, their friends, the places they like and what have you! 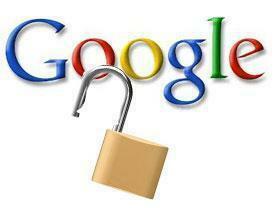 Google maintains that it can better serve its users if they voluntarily disclose their data on the web.